The network has confirmed 90 Day Fiance: Happily Ever After? 's fourth-season cast will include Elizabeth Potthast and Andrei Castravet, Nicole Nafziger and Azan Tefou, and Ashley Martson and Jay Smith. TLC made the announcement by posting a Facebook video on Tuesday showing the three confirmed couples for Season 4. The news comes just a day after the network confirmed 90 Day Fiance Season 6 couple Colt Johnson and Larissa Christina Dos Santos Lima and prior Happily Ever After? cast members Russ Mayfield and Paola Mayfield would also be two of the six couples starring on Season 4 the 90 Day Fiance spinoff. The five couples join prior Happily Ever After? cast members Chantel Everett and Pedro Jimeno, whose Happily Ever After? Season 4 return was announced in a promo that aired during 90 Day Fiance's Season 6 Tell-All reunion special back in January. While the network hasn't disclosed an exact premiere date yet, 90 Day Fiance: Happily Ever After? 's fourth season is scheduled to debut this spring. Elizabeth and Andrei originally appeared on Season 5 of 90 Day Fiance. 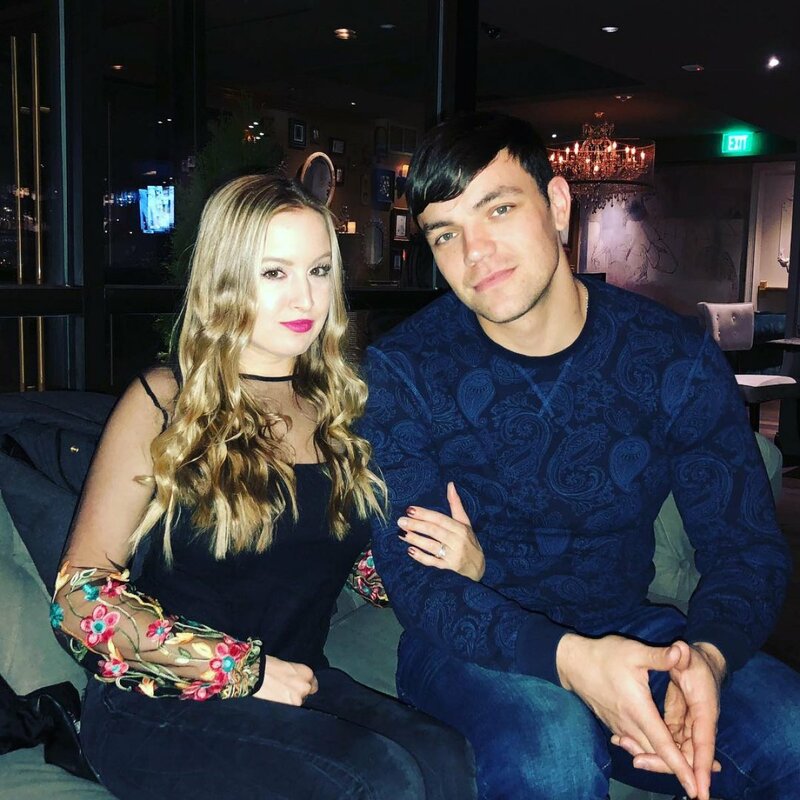 Elizabeth was 27 and from Tampa, FL, when she met Andrei Castravet, a 31-year-old from Chisinau, Moldova, while Elizabeth was visiting Dublin, where Andrei lived and worked as a bouncer. The couple tied the knot in late 2017 and are currently living together in Florida. Elizabeth and Andrei later welcomed their first child -- a baby girl -- in January 2019. Nicole and Azan's 90 Day Fiance: Happily Ever After? return had been expected as reports that the couple -- who previously appeared on Season 3 of the spinoff -- had begun filming footage in November 2018 for Season 4 had surfaced last year. Nicole was 21 and from Bradenton, FL, when she met Azan, a 23-year-old from Agadir, Morocco, through a mobile dating app. Nicole decided to travel to Morocco for five weeks, leaving her toddler daughter May at home. Nicole and Azan's wedding in Morocco has been delayed multiple times, with the latest being in June 2018 due to financial constraints. Nicole expected it would take two years for Azan to be able to move to her country. Despite the wait, they appear to still be together but living in different countries. Azan, however, has been accused by Nicole's family of using her for money and getting wrapped up in get-rich-quick schemes. Prior to Happily Ever After?, Nicole and Azan also appeared on Season 4 and Season 5 of 90 Day Fiance. Ashley and Jay's 90 Day Fiance: Happily Ever After? participation had also been widely expected as Ashley previously revealed the controversial couple had filmed scenes for the show. However, Ashley announced in February she and Jay had decided to "quit the show." In her announcement, Ashley publicly accused TLC and 90 Day Fiance producers of being the reason the couple had scammed their fans by faking marriage problems as well as a separation late last year. Ashley -- who filed for divorce in early January, but then withdrew the filing only days later -- claimed she and Jay never separated and TLC "ruined" the credibility of her marriage. TLC has not commented on Ashley's allegations.